ITAHARI, Jan 27: Mechi Netralaya Kakarbhitta Training Center has advanced into the semifinals of the second Madan Bhandari Gold Cup Football Tournament with a 4-3 tiebreaker win over Cameroon’s Dauphins Family Football Club in Itahari on Saturday. The game was pushed into the tiebreaker after the regulation time finished with a goalless draw. 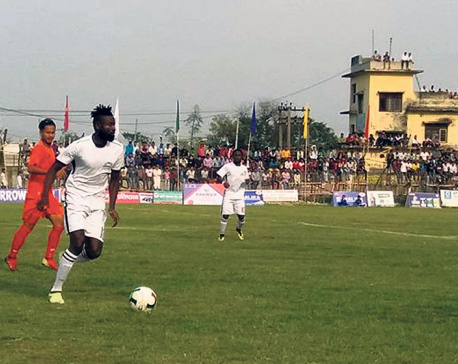 Kakarbhitta’s Nirajan Khadka, Bikash Rai, Dip Karki and Niraj Basnet scored the goals, while only Bhushan Limbu’s shot was saved by Dauphins goalkeeper. Only Nazma Yanisik, Wigwig and Manik scored for the Cameroonian side. Kakarbhitta goalkeeper saved Jo Anzila penalty brilliantly. Keeper Dip Karki was named the man of the match for his outstanding performance and was rewarded with Rs 10,000. Kakarbhitta coach Min Bahadur Basnet said that he had hoped his team’s easy win as he had analyzed that Dauphins played recently in Khaptad and they were fatigued. “Our players couldn’t perform as expected. Had the match gone as expected, we would have scored more goals. Our team could not perform well as Dauphins played roughly,’’ Basnet said. 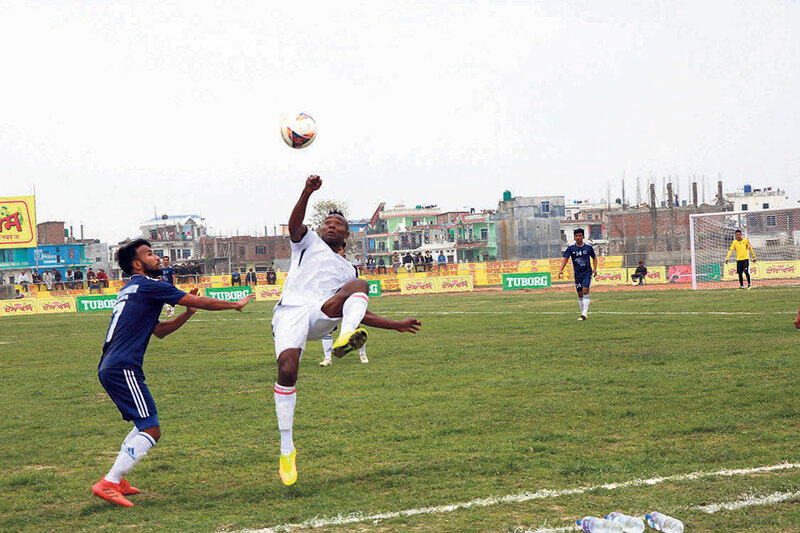 Kakarbhitta will now take on the winner of the match between the departmental team Tribhuvan Army Club and Three Star Club scheduled for Wednesday. A total of 10 teams including two foreign Dauphins Club and CFC Bhutan and six A-Division League teams Nepal Police Club, Army, Manang Marshyangdi Club, Three Star, Kakarbhitta and the host Rastriya Jagriti Club are taking part in the tournament. 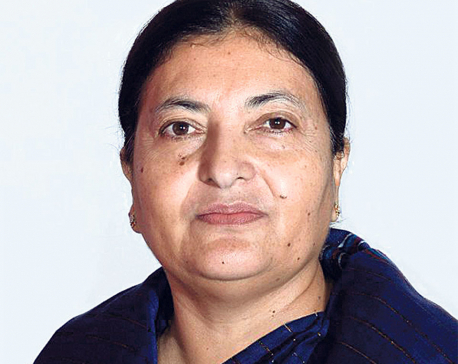 Manang will take on the host Jagriti Club on Sunday.